Saloca in Wonderland: Real Techniques - Sam's Picks brush review! 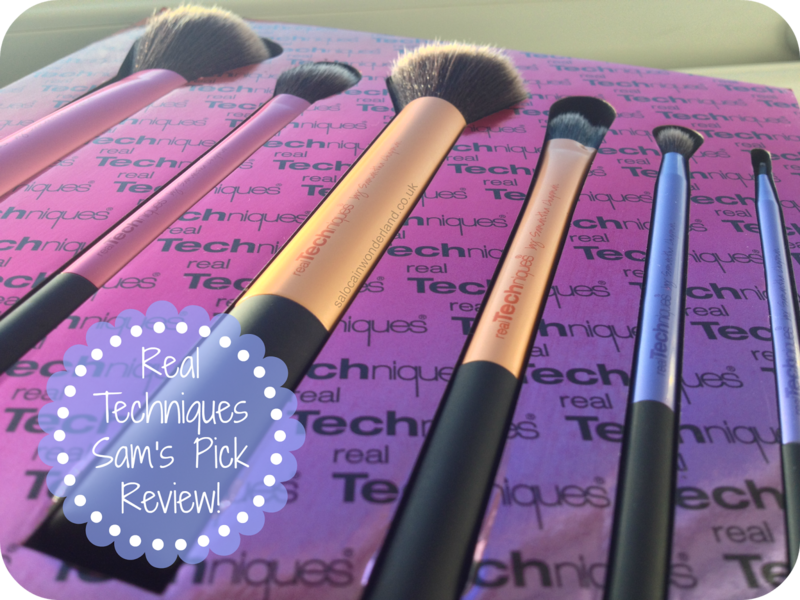 Real Techniques - Sam's Picks brush review! When it comes to make-up brushes, I’ve stuck by my trusty Bare Minerals brushes for years, I’m a creature of habit it seems. For a while now I’ve felt like I wasn’t getting the best possible coverage so figured it was about time I took a nosey around the market and seen what else was on offer. As much as I would love a full MAC set, my budget does not stretch that far. Real Techniques come in at a much more affordable price and they come in some fantastic sets too, bringing the cost of the collection down even further. 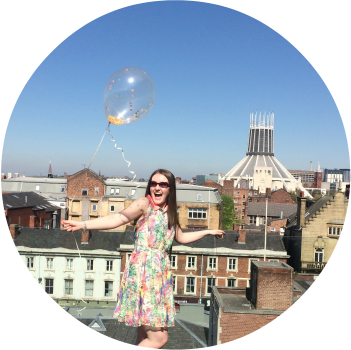 Sam’s Picks usually retails for around £30 – a steal if you ask me for 6 high definition brushes. I got my set for just £20 in the Amazon sale! In Sam’s Picks you get 6 duo-fibre brushes; multi-task brush, buffing brush, essential crease brush, setting brush, pointed foundation brush and a fine liner brush. The essential crease brush is a set exclusive too! What I love about Real Techniques brushes is that they are multi-tasking, all of them, and they can be used for a variety of products. 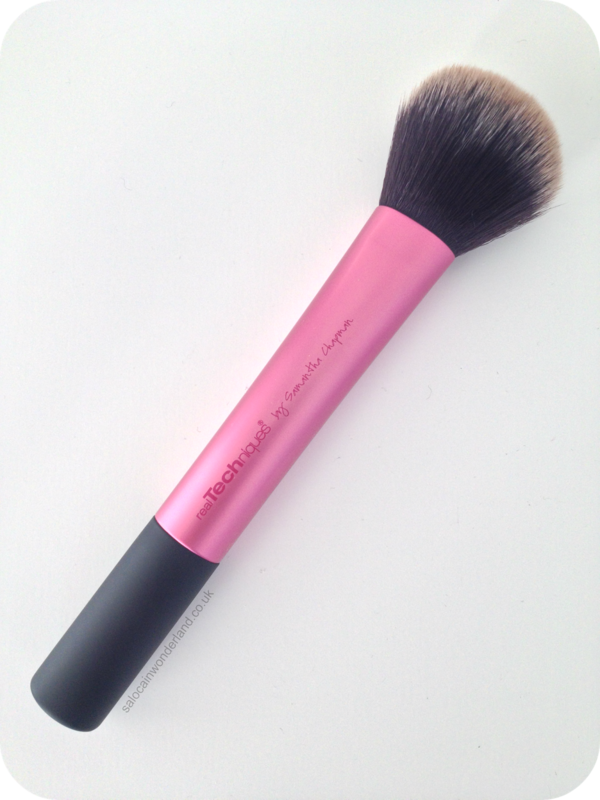 The multi-task brush gives flawless application of powder, blush and bronzer. 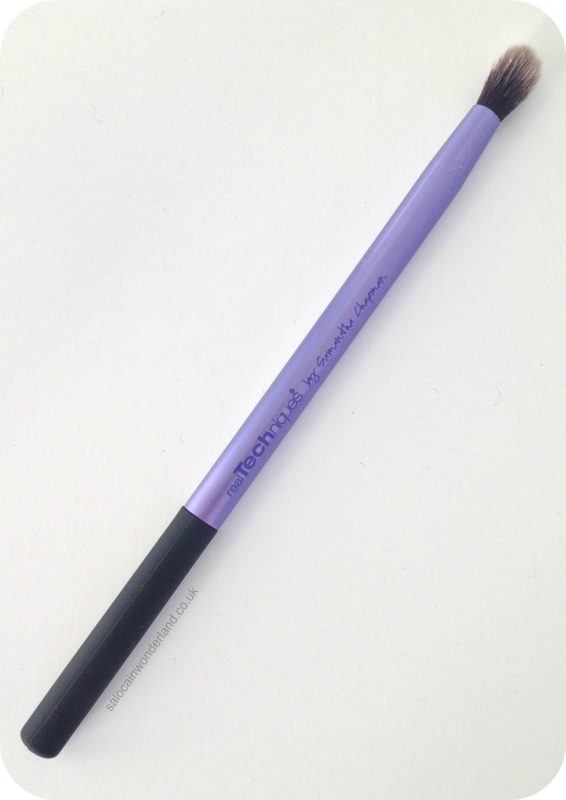 The bristles are super soft and the brush head is quite narrow, giving a more precise application. I always find when working with powders, the more control you have the better the look! I love this brush for blush, bronzer and highlighter. Short, soft bristles that are dense and well compacted, perfect for mineral and liquid foundation. Now, I’ve only used this brush with my powder foundation but the difference between this and my Bare Minerals flawless face brush is astounding! It applies powder foundation effortlessly. I never find any excess powder sitting awkwardly on my skin and it blends into the creases around my nose perfectly. My powder foundation has taken on a whole new look. By far my favourite from the collection! 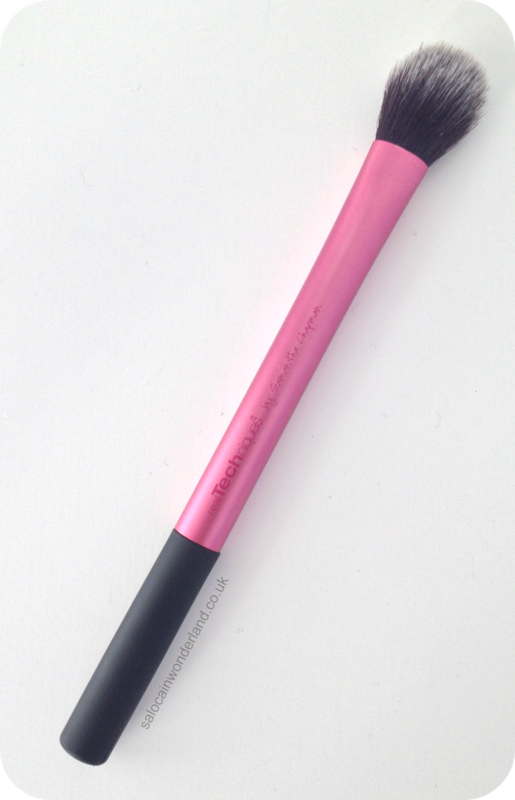 A soft, tapered design for effortless contouring – that has quickly replaced my Bare Minerals fluffy blending brush. 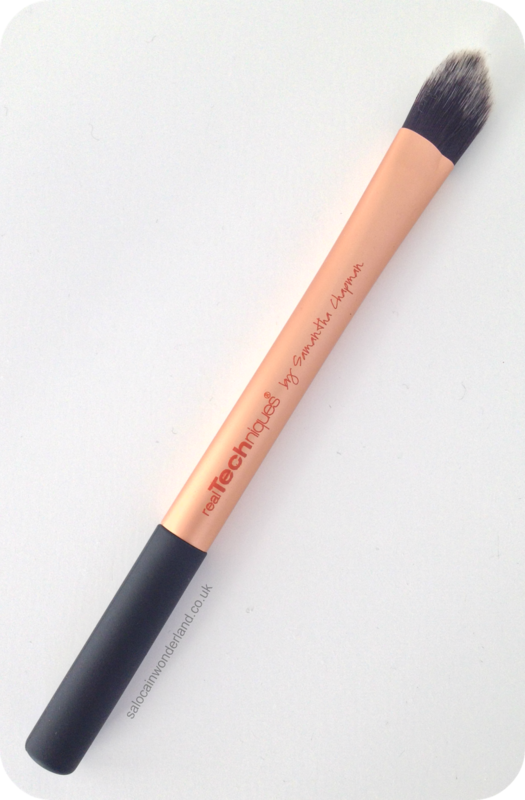 It fits into the crease perfectly and blends the shadows together seamlessly. It really helps give more shape to my eyes too. Again, another super soft brush, perfect for around the delicate eye area. It also helps to blend shadows under the eye for a smokey eye look. Fluffy and perfectly tapered to a rounded point, this brush is designed to finish your look with a controlled dusting of powder or highlighter. I love using this for highlighting the brows and t-zone, or applying setting powder around my eyes and nose. Perfectly controlled and the shape is ideal for getting into those nooks and crannies around my nose. For use with liquid foundation, this brush is brought to a well-defined point and is solid and densely packed – perfect for liquid coverage. Let’s face it, we have hair everywhere, even on our faces, there’s no denying it, and the problem with powder foundation sometimes is that it clings to these fine hairs on our face and can clump there in an unsightly manner – liquid foundation can sometimes do exactly the same thing! This brush is so dense that, if used properly, will flatten the hairs on the face as you apply your liquid foundation, giving a smoother, flawless complexion. It does make me feel like I’m painting a canvas – but after all, isn’t that what our face is when it comes to make up? Precision control and custom coverage all in one brush! 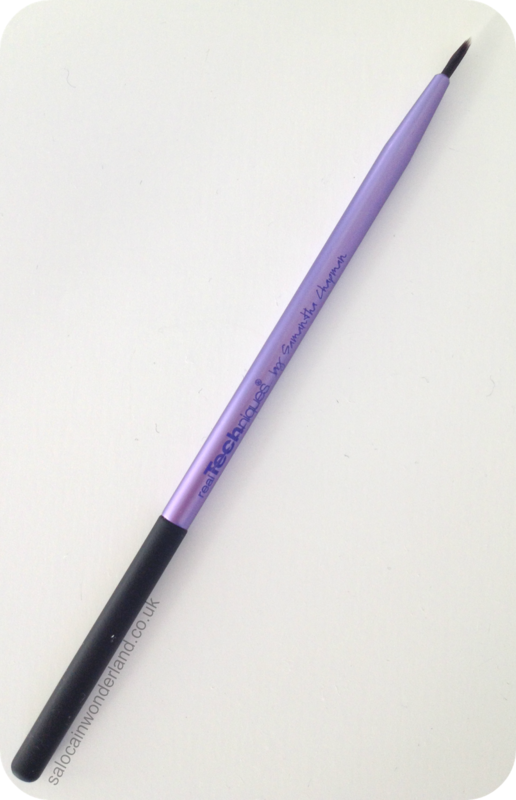 A very thin brush indeed, this is great for liquid liner or, if you’re applying a powder top coat of liner to set the liquid liner. I used to love using those very fine paintbrushes in school to put in the tiny details to a painting – and this brush reminds me of just that. This would be ideal if you’re getting a little more creative with a winged or cat eye liner look. It’s a little more flexible than I expected but with a slow, steady hand, it’s extremely precise! I’m loving every brush in this set, it’s made a massive difference to my make-up routine. I have pretty sensitive ‘oh lets have a pimple breakout for no apparent reason’ skin so I’m always a little weary of new brushes – but I’ve had no problems what so ever, no brush related breakouts of any kind. I spot clean them after every use on a cleansing wipe, then deep clean them once a week with Johnson’s baby shampoo – they’re in perfect condition! 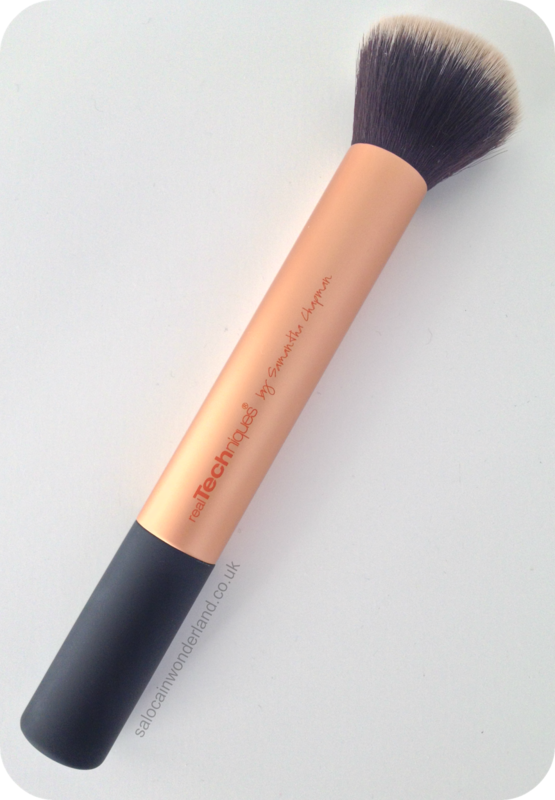 Have you used any of the Real Techniques brushes? Thoughts?